Quick summary: This lesson incorporates clips from Blue The Film as learning inspiration. In this lesson students learn about sustainable fishing by exploring the reasons we should wait for fish to grow to certain sizes before we catch them. They learn about how science is involved in helping people to fish responsibly. Students take part in an activity that allows them to experience sorting and sizing fish, to work out if it is a good catch or a great catch. They then decide whether to keep the catch or return it to the sea. Finally the students discuss how they can help the fish of the oceans when they go next go fishing. Blue is a feature documentary film charting the drastic decline in the health of our oceans. With more than half of all marine life lost and the expansion of the industrialization of the seas, the film sets out the challenges we are facing and the opportunities for positive change. Blue changes the way we think about our liquid world and inspires the audience to action. Find out how to screen or download the film. Along with the film is an ambitious global campaign to create advocacy and behaviour change through the #oceanguardian movement. To become an ocean guardian, see the website. Students learn about why and how we should fish in a way that doesn’t harm marine ecosystems. Syllabus outcomes: MAe‑1WM, MAe‑3WM, MAe-9MG, MAe-11MG, MAe-12MG, MA1‑1WM, MA1‑3WM, MA1‑2WM, MA1-9MG, MA1-10MG, MA1-11MG. Relevant parts of Foundation Mathematics achievement standards: Students compare objects using mass, length and capacity. Relevant parts of Year 1 Mathematics achievement standards: Students order objects based on lengths and capacities using informal units. Relevant parts of Year 2 Mathematics achievement standards: Students order shapes and objects using informal units. Topic: Blue The Film, Ocean Conservation, Water. Unit of work: Blue The Film: Inquiry – Foundation, Blue The Film: Inquiry – Years 1 & 2. Level of teacher scaffolding: High – oversee activities and lead students in discussions. Resources required: Student Worksheet – one copy per per group. Fishing Worksheet. Paper Fish – these can be printed at any size so long as you have several sizes of each fish. Rulers for measuring. A bucket. Pens/pencils. Art materials. 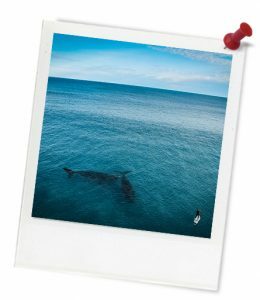 Keywords: Blue The Film, ocean conservation, fishing, sustainability, measurement, sizing, oceans. Cool Australia and Northern Pictures would like to acknowledge the generous contributions of GoodPitch² Australia, Shark Island Institute, Documentary Australia Foundation, The Caledonia Foundation and Screen Australia in the development of these teaching resources. Learning intention: Students will learn about fish in our ocean and how people can fish responsibly. Know what a fish is and where it lives. Know the difference between a juvenile and a mature fish. Be able to conduct measurements using a ruler. Be able to communicate ideas with others. 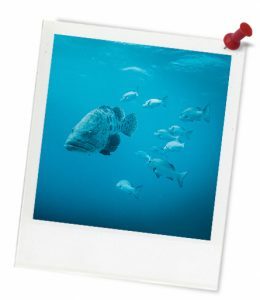 Be able to suggest ways we can all help fish. Teacher content information: From space, our planet appears as a tiny blue dot in the vastness of the universe. No matter where you live on our blue planet – you’re connected to the sea. But the seas are under threat. The industrialisation that has occurred in the oceans over the last century mirrors the events that triggered mass extinctions on land. Industrial scale fishing, habitat destruction, species loss and pollution have placed the ocean in peril. The very nature of the sea is being irretrievably altered. By international standards, Australia is a marine conservation leader.